This one was our cat’s idea, so that’s not a typo. 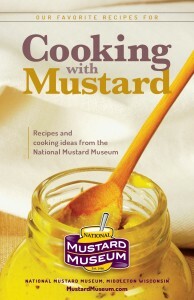 If your order is $35 or more, we’ll add a Mustard Museum cookbook to your order at no extra charge. Through the end of January. Isabella the Cat is making all executive decisions until the Curator thaws.